I CASED (which means Copy And Share Everything) this card from Stampin' Up! demonstrator, Liz Shultz from Alberta Canada. The only change I made was using Sahara Sand instead of Mellow Moss. Stampin' Up! 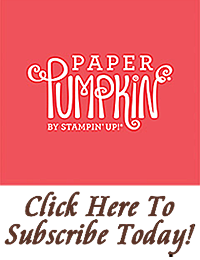 demonstrators get a monthly magazine from Stampin' Up! 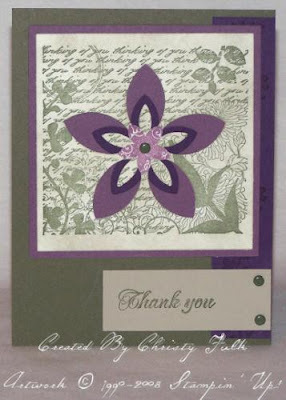 called "Stampin' Success", and Liz's card won one of the monthly contests Stampin' Up! has for demonstrators. 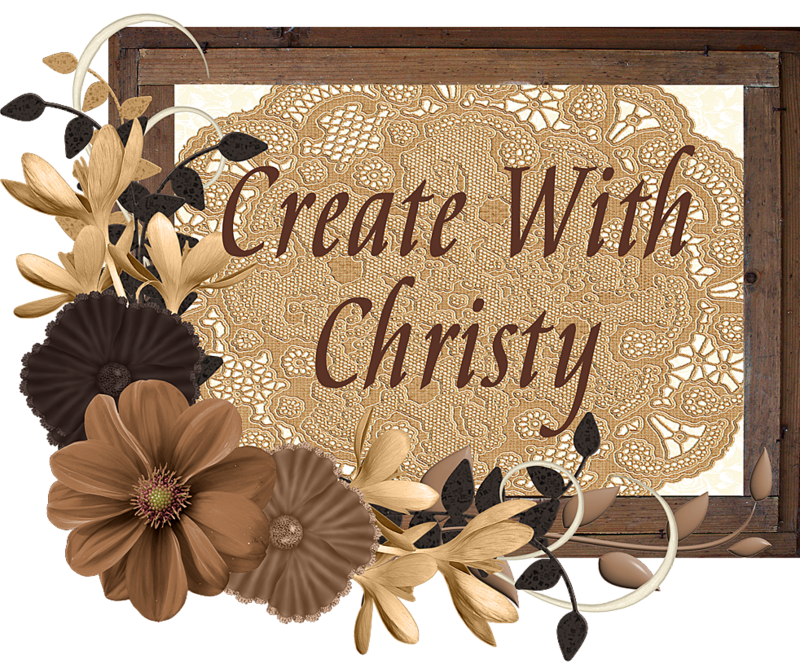 Winners select any 3 current Stampin' Up! stamp sets (except hostess sets), and get a picture of themselves and winning project pictured in Stampin' Success. I need to start submitting some projects. I don't know if I'd win one, but I sure would love 3 free stamp sets! Supplies: Fresh Cuts Set, Always Artichoke, Perfect Plum, Elegant Eggplant, & Sahara Sand cardstock; Fresh-Cut Notes, Always Artichoke, Sahara Sand, Perfect Plum, & Elegant Eggplant Classic Pads; Rich Regals Brads, 5-Petal Flower Punch, & Stamping Sponges. I love the Stampin' Success magazine we get every month. It has so many project ideas and business helps. I look forward getting it every month. 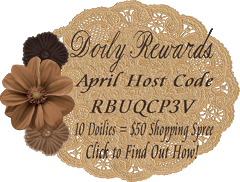 It's another great perk of being a Stampin' Up! demonstrator!